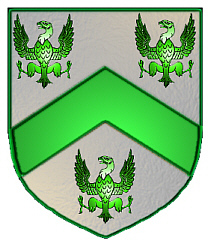 Coat of Arms: A silver shield with a green chevron between three green eagles. Spelling variations of this family name include: Charleston, Charleson, Charlson, Cherlson, Churlson and many more. First found in Suffolk where they were anciently seated as Lords of the Manor. 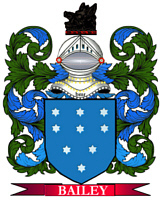 Some of the first settlers of this family name or some of its variants were: Ann Charleston, who arrived in Maryland in 1666; Anthony Charlson, who arrived at the port of New York in 1808; R. Charleston, recorded in Beaver county, Pennsylvania in 1851. 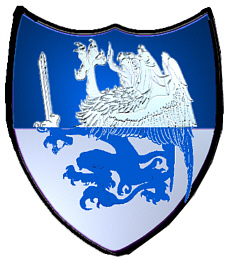 Coat of Arms: A shield divided per fess blue and silver with a griffin segreant holding a sword, counterchanged. First found in Schleswig-Holstein, where the family rose to prominence early in the mediaeval era. Some of the first settlers of this family name or some of its variants were: Brita Carlsen, who landed in New York City in 1847. Carl Carlsson arrived in New York in 1846; while Johan Carlson arrived there in 1849. 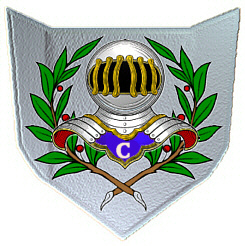 Coat of Arms: A silver shield with a knight's helmet within a green wreath. 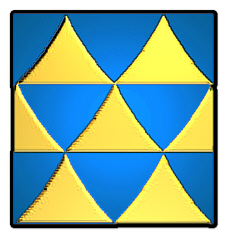 Coat of Arms: A shield that features three rows of alternating blue and gold triangles (the blue are base up, the gold base down).